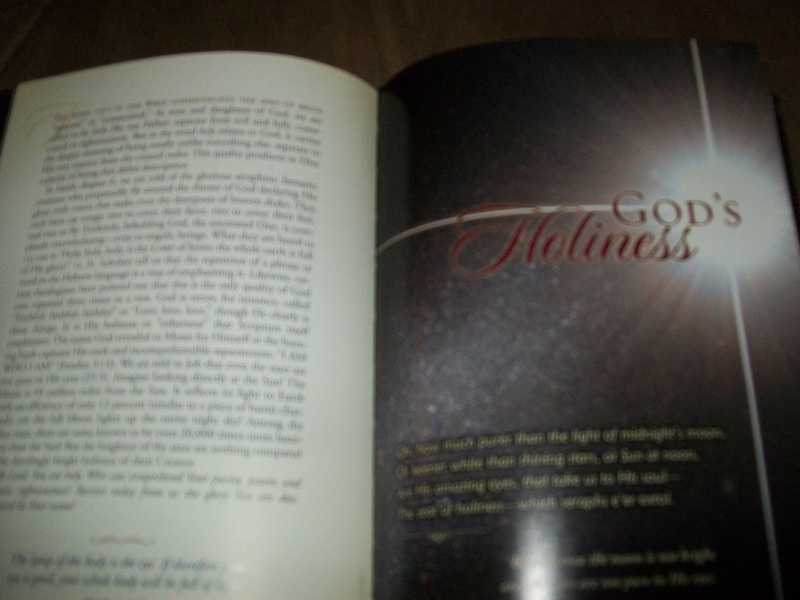 I picked up the hardback book, “The Heavens: Intimate Moments with Your Majestic God” off a discount table. Meditations on God’s Word are not scintillating enough, I guess. But taking one look at the photos therein, I was mesmerized. The author, Kevin Hartnett, worked for NASA for thirty years, and was a physics and astronomy at the University of Delaware. I hate to admit it, but this is a great bathroom book. As you look at each day’s entry, you’ll see a magnificent full color photo and a devotional that accompanies, often also with a poem. Reading one of the daily entries gives my day a lift. For I think about how God is in the tiniest atom but also directs the trillions of galaxies. He is a God of both the big and the small. Nothing escapes His sight and Scripture tells us in Psalm 147: 4 that: “He counts the number of the stars; He calls them all by name.” Yes, all the trillions of trillions of stars are known to our Heavenly Father. Some of the topics covered include “God Unchangeable,” and the author comments that although the heavens appeared slightly different throughout the millennia, God will never change. Pictured there is a photo of the constellation Orion. Another is “Yearning for God in the Night” and reassures readers that Christ’s followers will never stumble as long as they walk with God on their path. Another encourages of digging deeply into God’s Word in “What Do You Study” with a picture of the Eskimo Nebula. Altogether there are 222 lovely devotions in this book. If it is a gloomy and cloud covered day here, (which it frequently is) I can always read a page of this “heavenly devotional” and be refreshed in God’s Majesty once again. I recommend this book to anyone who needs some encouragement and even for skeptics. Some prominent physicists have concluded that there must be a Designer behind the Design in the universe, Mr. Hartnett certainly being one of them. George Muller never asked anyone to meet his needs for the charity work he started. Instead, he told God and waited for the answer. He trusted God would provide at the perfect time. 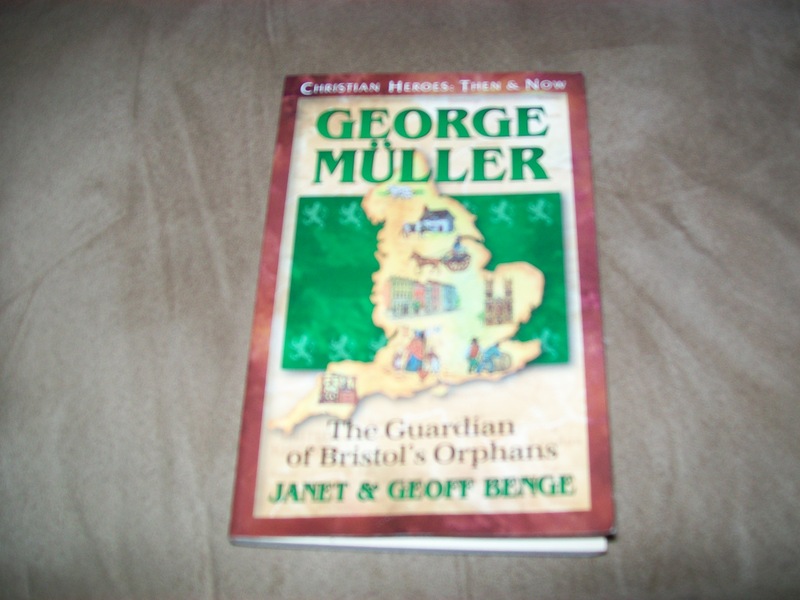 He is mainly known for the orphanages he started in Bristol, England in the 19th century. Many children were homeless and ragged. He had compassion on them and was moved to start an orphanage for them. This was only the beginning. By the time he died near 1900, over ten thousand orphans had been served by his ministry. The thing I liked best about George was that he never complained to others of his lack. Amy Carmichael, another missionary during the time, was moved by his example and trusted God in this same way to be the One to provide for her Dohnavur orphanage in India. The book is written for upper elementary age students, but I enjoyed it just as much as my son. Janet and Geoff Benge, the authors, have a whole series for kids on Christian heroes. Others include Gladys Aylward, Eric Liddell, Hudson Taylor and many more. The pressure is on when it comes to being a school-aged kid these days. So many things in our world scream for us to deny our faith. Christian parents can encourage through reading to their children, whose faith is shaken by our culture and the world system on a daily basis. Kids need to know that Jesus Christ is faithful in every need of their life, and George Muller’s example of childlike faith demonstrates to them how it can be done. George had a huge Bible reading habit. He read the Word nearly 200 times in his life. Because he knew the Scriptures, he had no problem trusting God. Knowing the Scriptures also made him a happy man. It reminds me of one of my friends who reads like George did. She is the most carefree person I know, and has great faith not in her abilities, but in what God can do. After reading this, I went on to purchase the Autobiography of George Muller, and his other book, Answers to Prayer. Seeing that God was faithful to Muller gave me the confidence to become bolder in my prayer habits, and also to be more serious in taking the time every day to read His Word. Reading this book started me on another quest as well: to learn about more heroes of the faith. I am continually in awe by learning of what our brethren during different eras were able to accomplish by grace and through faith. Even if homeschooling parents are not doing the Sonlight Curriculum, I would definitely recommend including this book in your program. In the back of the book, there are listed other materials by the authors including Unit Study Curriculum Guides. It was an easy read with larger type. The upper elementary child could read on his own, but I recommend it as a read aloud so that the parents faith also can be encouraged. Also included in this book is a brief bibliography for those who want to find out more.